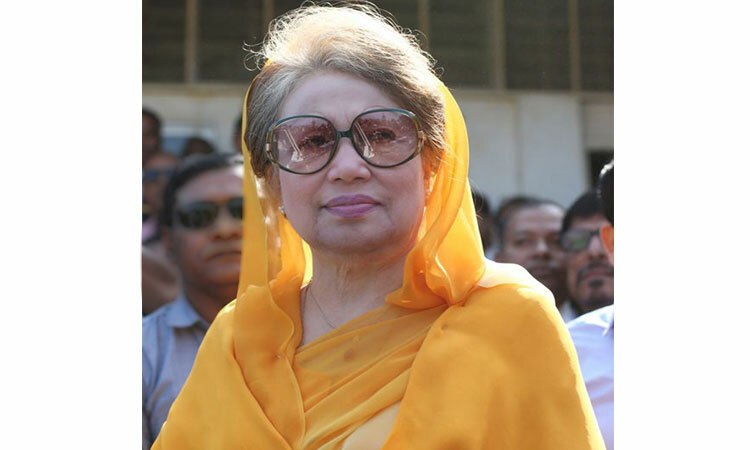 The High Court on Monday granted a six-month bail to BNP Chairperson Khaleda Zia in a case filed under Special Power Act over the arson attack in Cumilla’s Chauddagram. The bench of Justice AKM Asaduzzaman and Justice SM Mozibur Rahman passed the order today. Earlier on July 23, the HC directed the Cumilla Special Judge Court-1 to dispose of the bail petition filed by BNP Chairperson Khaleda Zia in the case within July 26. Khaleda’s lawyer filed a bail petition with High Court as the Cumilla court rejected denied bail petition of Khaleda on July 25. On February 3, 2015, eight people were killed in a petrol bomb attack in a bus at Jogmohanpur in Chouddagram upazila of Cumilla district during a movement enforced by the BNP-led 20 party alliance.